Are you, or is somebody close to you, currently expecting a baby? 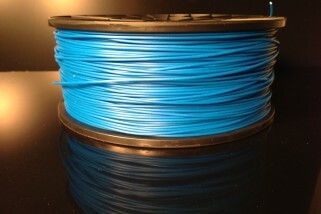 And, are you bored of those dull-as-ditchwater 2D ultrasound scans? 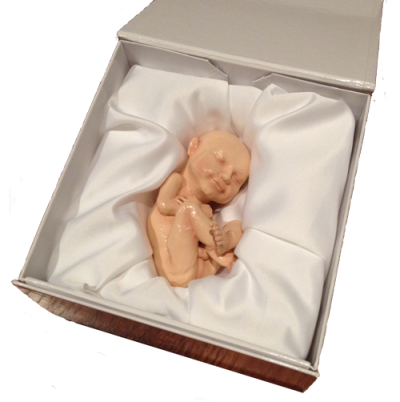 Then the good folks over at 3D Babies have just the thing for you – a life size, 3D printed figurine of your unborn baby. All they require is an ultrasound picture of your foetus, plus 600 of your dollars, and they’ll fire off your model, which will arrive at your door in a posh satin-lined box. 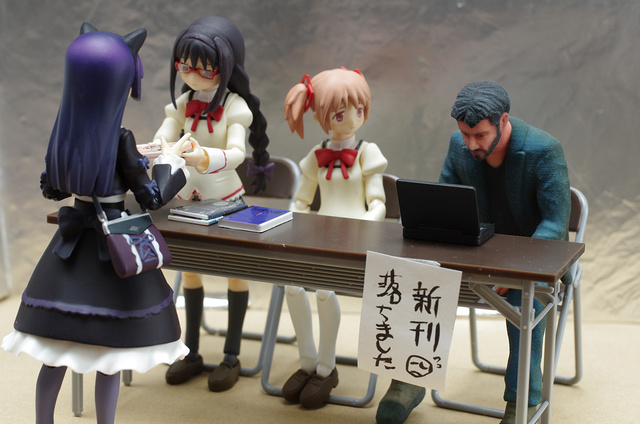 $600 a little steep, you say? Then you can downsize to a half-size printed foetus for just $400 or a mini-foetus for a mere $200. 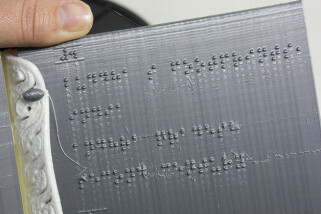 Don’t have your own as yet unborn infant to print? Then why not print off a famous celeb baby? You can have your very own life size, inanimate clone of North West, the sprog of Kanye West and Kim Kardashian, for just $250. 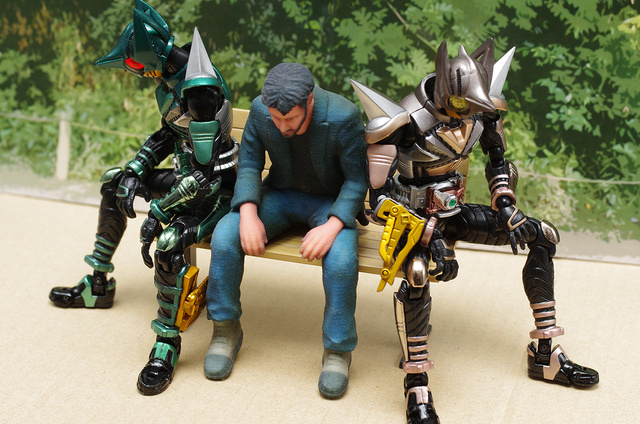 Remember the Sad Keanu internet meme that took the web by storm about four years ago? Those melancholic though inexplicably amusing tabloid pap-snaps of Ted “Theodore” Logan sitting dejectedly on a park bench caused a sensation across the internet, culminating in a ‘Cheer Up Keanu Day’ campaign on Twitter and Facebook. 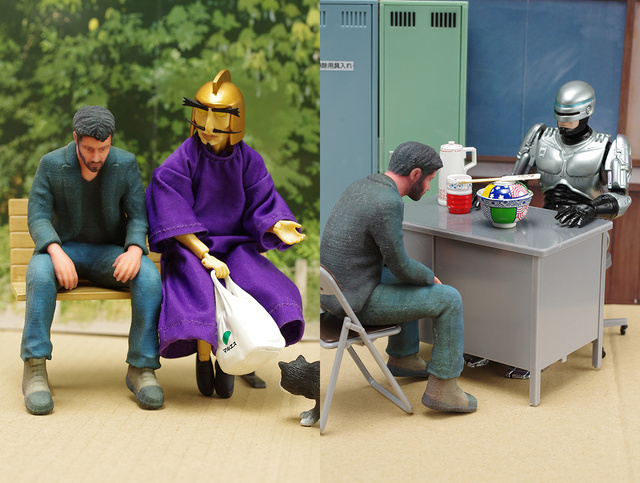 Now, New York designer Nancy Liang has immortalised the Sad Keanu phenomenon, with a 3D printed figurine that is right this instant retailing on Shapeways for a cool $45 (about 28 quid in real money), with a smaller version available for just $25. There’s really not much to say about this one that can’t be said much better just by looking at the side-splitting photos. For five years, Ms. Sun has suffered from a tumour in her lower jaw that caused constant pain and serious damage. Once, it was thought her condition was beyond help. This month, however, she became the recipient of the first ever successfully implanted 3D printed lower jaw and is finally able to smile, chew and talk comfortably once again. 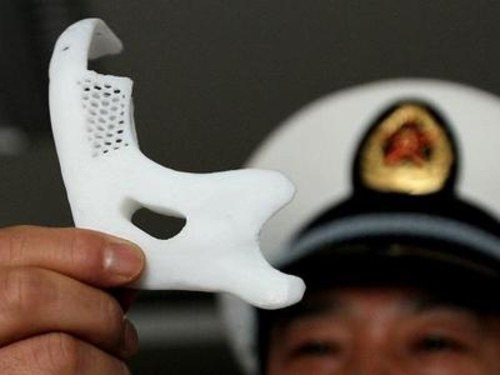 The surgery, undertaken at China’s Military Hospital 411, was completed by Dr. Zhang Qingfu using a titanium lower jaw implant that had been designed with a mixture of CT image reconstruction, CAD and biomechanical techniques. The key to making it work was to create an implant that was both bio-compatible with Ms. Sun’s body and light enough to sit comfortably in her skull. It’s one of the most extraordinary achievements yet for 3D printed medical applications, particularly when you consider that mandibular defects are a very difficult issue to address. 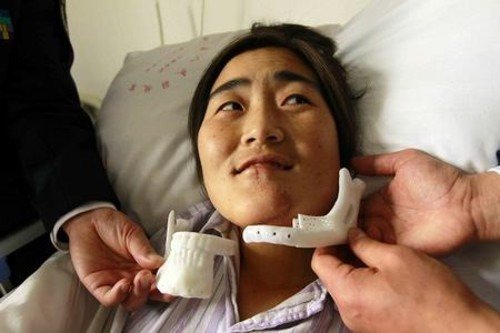 Thanks to its ability to individualise, 3D printing allows surgeons to repair a mandible damaged by cancer or other traumas without using the far more troublesome bone graft.